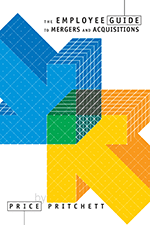 PRITCHETT is truly different than other M&A integration consulting firms in five key areas and our long list of clients value our uniqueness. While other M&A consultants say they have expertise in integration, our website shows that we actually do. 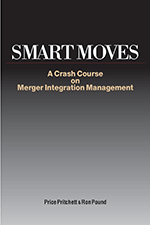 PRITCHETT has populated MergerIntegration.com with playbooks, tools, videos, checklists, assessments, and presentations from hundreds of our M&A integration consulting projects. Our rich, online library of content can help acquirers quickly mobilize and empower their integration teams. No other firm offers anything remotely comparable. PRITCHETT has specialized in acquisition integration for 35 years, longer than any other firm, and consulted on M&A integrations for deals valued in total over $350 billion. 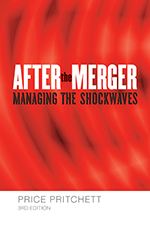 Plus, we have trained 30,000 managers in merger integration, far more than anyone else. 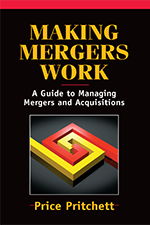 And we've sold two million of our books on M&A integration, more than all other authors combined on that subject. Our firm has consulted on the largest pharmaceutical, oil and gas, financial exchange, and bank M&A integrations in history. And on smaller deals in practically every industry. We can easily staff a project with dozens of senior, well-experienced M&A integration consultants, or even just one, based on the size and complexity of the acquisition and bandwidth of a client’s integration teams. 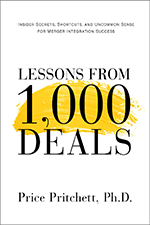 Given that millions are at stake, and there are no dry runs, acquirers should think twice before they turn their M&A integration into a training ground for consultants. 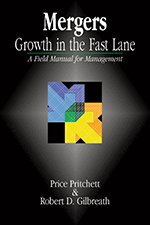 PRITCHETT’s methodology is easy to follow and well-organized. It’s a streamlined, repeatable process not weighed down by extraneous junk. We made room for more of what matters by eliminating what doesn’t. 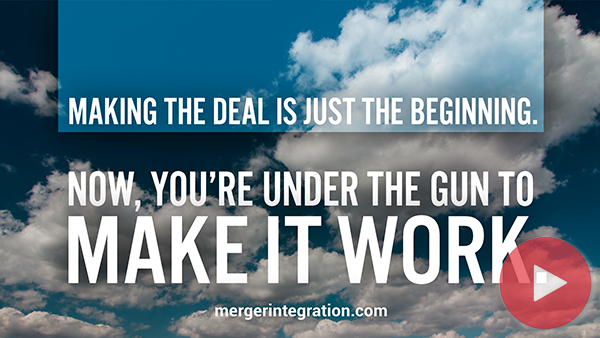 Some M&A advisors pitch integration methodologies with complicated rules that create confusion and add no value. In some cases, acquirers feel compelled to hire consultants on an ongoing basis to navigate the very complexity built into the process by the same consultants. An effective methodology should make an organization more capable and less dependent on outside experts. PRITCHETT’s approach is highly teachable. Not over-engineered. A person needs common sense and resolve, not an advanced physics degree to understand and apply it. Call us at 800-992-5922 to learn more about our consulting services.